We currently have no exhibitions planned for 2018. November’s exhibition is a special for Headrow Gallery. We are delighted to be hosting this exciting young artist, who has been the most talked about for years by our clients. David is the Head of a school art department. His cityscapes are brilliantly executed; vibrancy, movement and flashes of colour are his artistic signature, capturing fleeting glimpses of passers by in the heart of the city. When the artwork of David Questa was first shown to me, my reaction was ‘Wow! Here is something different!’ His drawings are massively popular with both corporate and domestic clients, and David is definitely an artist to keep an eye on in the future. We will be featuring a range of his excellent limited edition prints plus a selection of original works. 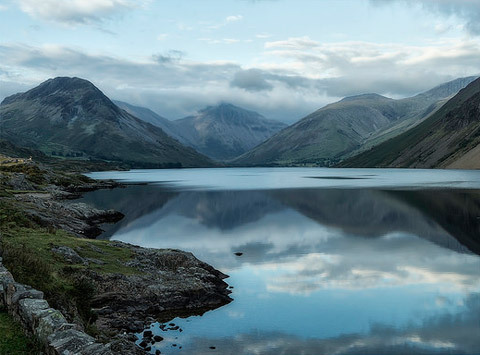 Our October exhibition features photographer Keith Craven’s stunning images that have earned him much critical acclaim for capturing special moments in time. We will be showing an eclectic selection of the wonderful photographs Keith has travelled near and far to capture. His meticulous eye for detail and his technical skill create images which are objects of beauty. In a previous incarnation I was in the photographic industry, and Keith and I have known each other for many years. I have the greatest respect for his work and am excited to be hosting this exhibition - Maxwell Roberts, Proprietor. Originally planned for May, the rescheduling of this show was a disappointment to many. An eagerly anticipated event that will be worth waiting for. September sees an exhibition featuring a theme Headrow Gallery has championed many times over the years - this time with a new twist. Three Perspectives of the Yorkshire Dales will feature works from one our most famous and celebrated Dales artists, Sam Chadwick. Although Sam died in 1991, his work lives on through his watercolour paintings and a wide collection of limited edition prints. 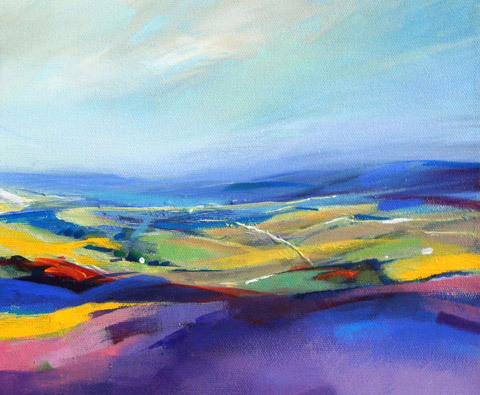 One of today’s younger stars, Robert Dutton, will display a more contemporary view of our Yorkshire countryside. Robert is a regular contributor to the Artist Magazine and is an ambassador for a well-known UK art manufacturer. He is also an acknowledged art teacher to all levels including professional artists. 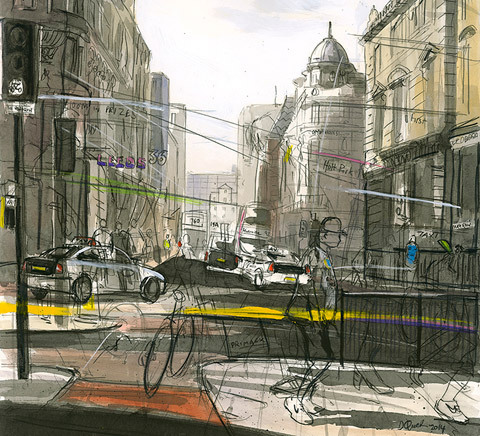 One of Leeds’s best-known artists is Stuart Walton, famous for his pencil drawings and oil paintings depicting 1960s/70s Leeds, Bradford and other local areas. 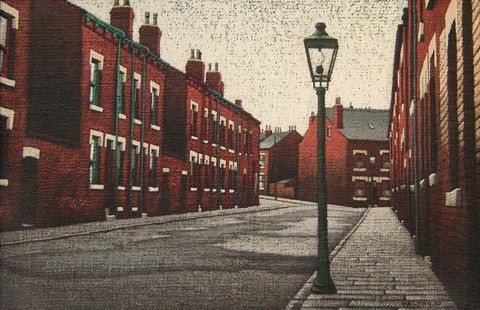 The images of long-gone pubs, terraced housing and cobbled streets with their washing lines are a great social document and testament to those far off times. Stuart’s paintings are now much sought after in the auction houses. He is still painting, although no longer creating any of his wonderful pencil drawings (he told me that his eyesight today won’t stand up to all that fine detail!). This exhibition was long overdue! The show featured some of his latest oil paintings, a range of early original pencil drawings from the 60s/70s, and also many of Stuart’s earlier limited edition prints.